DC defeat RCB by 4 wickets at the M Chinnaswamy Stadium in Bengaluru. RCB bat 1st and made 149/ 8 in 20 overs. This is RCB’s 6th defeat in ongoing IPL. Kagiso Rabada became Man of the match as he took 4 wickets in his 4 over quota. Rabada took prized wickets of Virat Kohli, AB de Villiers, Akshdeep Nath and Pawan Negi. Virat Kohli, who scored 41 runs in 33 balls against DC, now has 802 runs against Delhi (DC and DD) at an average of 66.68. Kohli’s 802 against Delhi is the 2nd most runs scored by a batsman against a specific team in IPL after Suresh Raina’s 803 against MI. Kohli said after the defeat “We can’t keep giving excuses every game. We weren’t good enough on the day again,”. 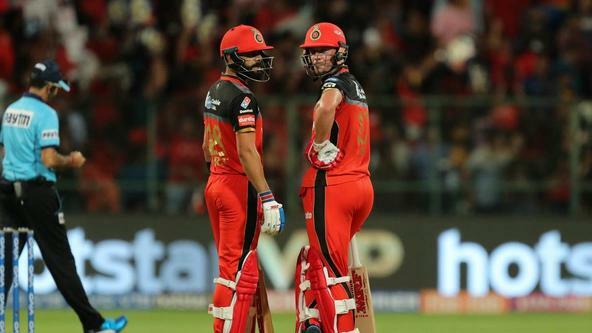 RCB’s missed catches and sloppy fielding have caused the Virat Kohli-led side massively in the ongoing IPL 2019. They have dropped 15 catches in IPL 2019 and if they want to go on a winning run then they have to take chances. Rajasthan Royals (RR) host their 3rd home game of the season wherein they took on two-time champions Kolkata Knight Riders at Sawai Mansingh Stadium, Jaipur. KKR won the toss and chose to bowl. KKR won the match and move to the top of the points table with 8 points. After the early fall of skipper Ajinkya Rahane, it was Jos Buttler and Steve Smith’s partnership for the second wicket that entertained the crowd. The Englishman and the Australian were in their elements and gave some impetus to the innings on a slow surface. Buttler was the aggressor but Smith joined him soon. The duo added 72 runs for the second wicket in 64 balls. Following the carnage set by KKR openers, a 91-run stand in 51 balls, it was a cakewalk for the visitors who trounced RR by 8 wickets with six overs still to play. However, the biggest factor was that they didn’t even require Andre Russell to contribute with the willow. He has been a standout performer for them this season but Dinesh Karthik-led KKR went past the opposition without the need of Russell. Managing only 36 runs in the last five overs, despite losing a solitary wicket, Royals succumbed to the lowest score by a side batting 1st after losing 3 of fewer wickets. They went past now-defunct Pune Warriors’ (PW) record (scoring 146 for 2 vs Delhi Daredevils) in 2012 edition. RR also were unlucky as Lynn’s inside edge off Dhawal Kulkarni hit the stumps, and he even started the walk back to the pavilion but the bails weren’t dislodged. The lights were on, but bails refused to fall down. The inside edge went to the boundary; resulting in probably the unluckiest delivery of IPL.